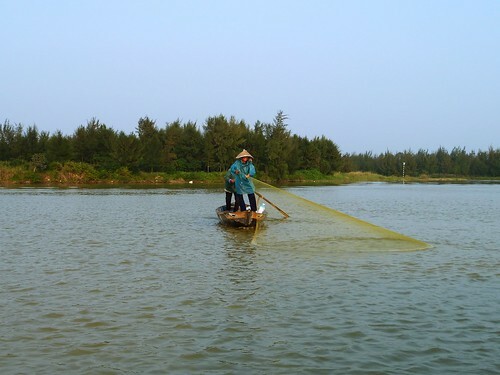 Teresa Curran recently returned from an eight-day Essence of Vietnam tour with Peregrine Adventures that she won in a competition we ran last year. Here she describes some of the highlights from her trip. I think I made my tour group go cycling. 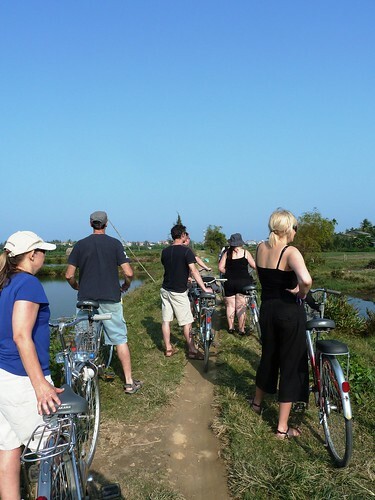 We were on the bus heading towards Hoi An when our guide, Bao, asked who wanted to go on a bicycle tour of the town. The silence on the bus was deafening, until I said “I do.” The others slowly agreed and so the plan was hatched. We had spent the morning climbing the Marble Mountain in Da Nang and so agreed to cycle the next day. 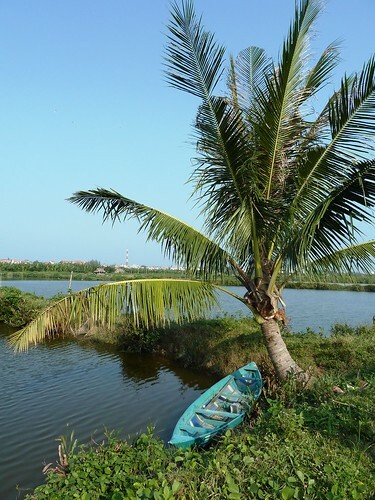 Hoi An is a very different part of Vietnam to Ho Chi Minh City. It does not have the same frenetic traffic and energy. You can walk along the streets without the danger of being run over by a scooter. You will, however, be accosted by thousands of shopkeepers who with varying degrees of urgency implore you to come into their shops and buy something – anything. It is also a great place to have clothes made so I had organised a suit to be made, prescription sunglasses to be created, sandals to be crafted and a dress to be altered all in the first afternoon. Our first evening meal in Hoi An began with a difference and was a cooking class/demonstration. The menu was set for us and we gathered closely around a table to make our Vietnamese pancakes stuffed with prawns and bean sprouts, spring rolls (by far the best I had on the trip), snapper cooked in banana leaf and green papaya salad. After a few cocktails I got stuck in frying up the spring rolls to a crisp and showing off my hopeless chopstick stills to the bemused waiter. The meal, like everything I ate in Vietnam was delicious – though by this stage I was in danger of turning into a spring roll. To hear more of Teresa’s travels, follow her on Twitter. 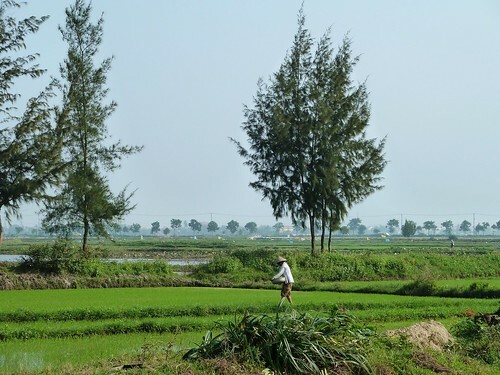 If you'd like to have your own Vietnamese adventure, check out our Vietnam on a Shoestring tour from just £439. Offer ends March 31st so don't miss out. If adventure is your thing, take a look at our Big Adventure Sale with up to 50% off adventure tours.